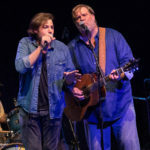 Last month we did a preview of George Dunham’s 6th annual charity event, Jub Jam, which benefits The Senior Source, a non-profit dedicated to assisting the elderly in various capacities. 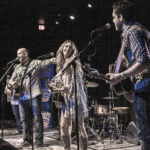 Hosted at the historic Kessler Theater, it was headlined by Flatland Cavalry and featured a bunch of local artists – Matt Boggs (of Prophets and Outlaws), Bobby Duncan, Kyle Rae Harris, Steve Helms, Michael Padgett, The Gordon Keith Band, and of course George’s own, The Bird Dogs. We were given all access and got to see everything and talk to everyone. Great music, great people and a huge success with the event raising a record high $75,000. Next year George is gonna need a bigger boat. Lots of content for you to wade through, so enjoy. Thanks to the great Rob Chickering, former Ticket producer, for sharing his photos with us. Here’s a mashup of the musical performances, 3+ hours of music distilled to 12 minutes. The last 5 is a fun finale with the entire gang covering “This Time Around” and Brady Black being Brady Black. You’re gonna like that. I’m just gonna throw these chats out here for you to consume at your leisure. It’s a mix of catching up with folks, talking about how the year is unfolding and other random banter. It’s one of the things I enjoy most about doing this, getting to know folks and sometimes talking about stuff outside of music. Apologies in advance, we did most of these in the dimly lit Green Room backstage and noise from the show would bleed in. It’s no Barbara Walters setup but we gave it the ol’ college try to boost the audio and lighting. 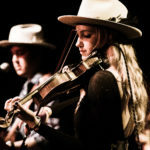 Laura Jane Houle, high-heeled fiddle player for Flatland Cavalry and PhD student. 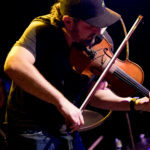 Brady Black, fiddle player, Randy Rogers Band. Talking Christmas onesies and getting back into the studio towards the end of the year. Bobby Duncan and Donovan Dodd (a.k.a. 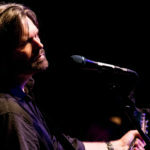 The Co-Write) talkin’ about Bobby’s new live album and podcast stuff. Yucking it up with George Dunham’s 23 year co-host, Craig “Junior” Miller. 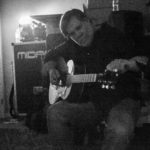 Thanks again to George Dunham for allowing us to invade his personal space and shout out to my buddy Ashton Hines for helping cover it all. you made to create this actual submit amazing. Great task!